NEW YORK, N.Y. — Lindsay Davenport of the St. Louis Aces and the Springfield Lasers’ Martin Damm were named the 2010 Female and Male MVPs of the 35th season of the World TeamTennis Pro League presented by GEICO, League officials announced today. WTT also announced that Bobby Reynolds of the Washington Kastles, and Courtney Nagle of the Philadelphia Freedoms picked up the WTT Rookie of the Year honors and Springfield Lasers coach John-Laffnie “J.L.” de Jager was named the WTT Coach of the Year for the second year in a row. Damm led his Lasers’ teammates to the Conference Championship match for the second consecutive year and narrowly edged his teammate Rik de Voest by .20% to win his first MVP award. Damm and de Voest led the League in men’s doubles with a .593 winning percentage. Damm also finished fourth in the League in mixed doubles, winning 56% of his games. 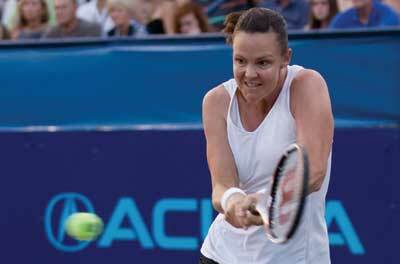 In her first year with the Philadelphia Freedoms, Nagle helped the revamped Freedoms lineup to a 6-8 record. Teaming with teammate and Rookie runner-up Noppawan Lertcheewakarn, Nagle won 51 games in women’s doubles and partnered with Prakash Amritraj to finish as the League’s 5th ranked mixed doubles team. Playing his first season with the Washington Kastles, Reynolds led the League in men’s singles with a 64-51 win-loss record. Reynolds also teamed with Leander Paes to finish as the 5th ranked men’s doubles team. 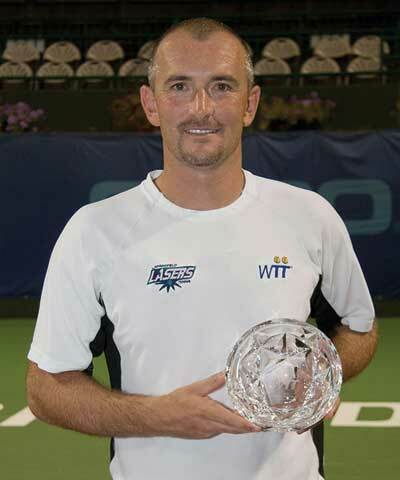 In his fourth season leading the Springfield Lasers of the World TeamTennis Pro League, John-Laffnie “J.L.” de Jager guided his team to a WTT-best 10-4 regular season record and a spot in the Western Conference Championship match. 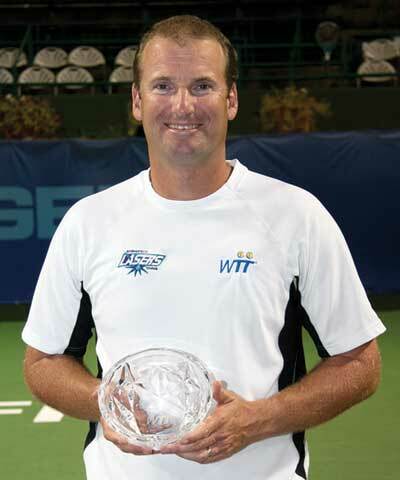 This is the third time in the past four years de Jager has earned WTT Coach of the Year honors as he received the award in 2007, his first season as coach of the Lasers, and again in 2009. De Jager’s team included 2010 WTT Male MVP Martin Damm, MVP runner-up Rik de Voest, Chani Scheepers and Carly Gullickson. The Lasers lost a close battle with the Kansas City Explorers 20-17 in the Western Conference Championship on July 23 in Springfield, Mo. Ricardo Mello and Sam Groth of the Kansas City Explorers celebrate with teammate Jarka Groth after the Explorers won their first WTT title. With a capacity crowd at Explorers Stadium in Kansas City cheering them on, the Kansas City Explorers won their first WTT title on Sunday evening (July 25) with a 21-18 victory over the New York Sportimes. Jarka Groth, who was named MVP of the WTT Finals, rallied the Explorers by winning all three of her sets. Watch the action of the 2010 WTT Finals presented by GEICO and the City of Kansas City when it airs on Tennis Channel on Wednesday, July 28, at 8 pm EDT and re-airs at 11 pm EDT. The World Team Tennis (WTT) Pro League presented by GEICO showcases the best in professional team tennis with the innovative coed team format co-founded by Billie Jean King in the 1970s. The WTT Pro League, which celebrated its 35th season in July 2010, is a showcase for three generations of tennis standouts, including legends, current tour players and future champions. Since the League’s debut, virtually every major champion of the Open era has played World TeamTennis. WTT is well known for showcasing and introducing innovative elements to tennis including instant replay, coed format, cumulative and no-ad scoring, on-court coaching, Overtime and Supertiebreakers, multi-colored courts and player names on the back of shirts. Official WTT Pro League sponsors for the 2010 season include Acura, DecoTurf, GEICO, Novo Nordisk, Solfire and Wilson Racquet Sports. The United States Tennis Association (USTA) is a minority owner and promotional partner of World TeamTennis. WTT and the USTA are teaming up on number of initiatives, including development of the youth market through junior team tennis programs. For more information on the WTT Pro League, visit WTT.com.